It may look like the subject of a science fiction movie, but the animation below offers the world's first glimpse of Ovatiovermis cribratus, a thumb-sized worm-like species from the Cambrian period (541 to 485 million years ago). The rendering was pieced together by artists and researchers at Toronto’s Royal Ontario Museum from fossils found at the Burgess Shale fossil deposit, the site of one of the world’s first complex marine ecosystems, in British Columbia’s Yoho National Park. Ovatiovermis cribratus is one of the rarest species found at the Burgess Shale and one of only three lobopodians, a Cambrian group of worm-like animals, formally described from the UNESCO-designated fossil site. 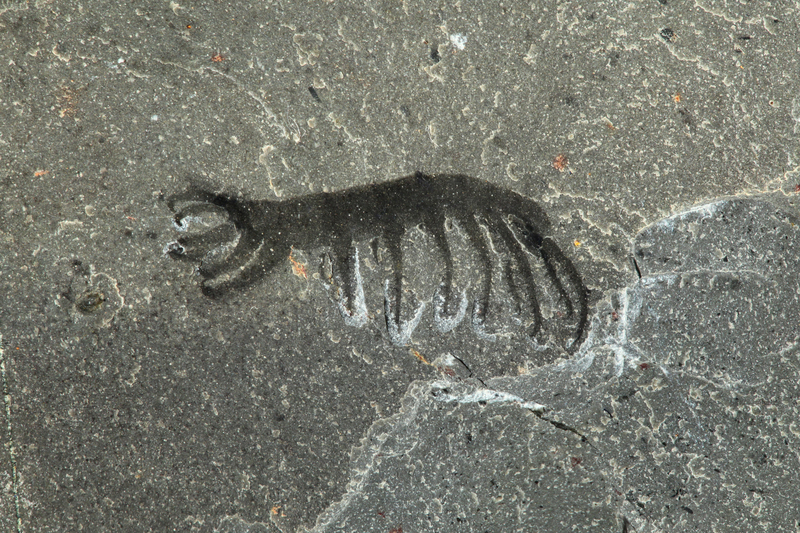 The animal was identified from just two fossils, one found in the Burgess Shale in 1994 and the other uncovered later by a visitor on a guided hike to Walcott Quarry. Watch an animation of Ovatiovermis cribratus below. The discovery is significant, says the ROM’s senior curator of invertebrate paleontology Jean-Bernard Caron, as Ovatiovermis cribratus will help provide new insight into the poorly-understood ecology of lobopodians, which are key to understanding modern tardigrades (water bears), onychophorans (velvet worms) and arthropods. Researchers believe Ovatiovermis cribratus had two long pairs of flexible and hairy or spiky limbs in the front to collect food from the water, strong recurved claws on its back limbs, which may have helped anchor it to hard surfaces, and a toothed, eversible mouth. It was a particle feeder (as its name cibratus, Latin for “to sieve” suggests) and, unlike other lobopodians, did not have any hard structures, such as rigid spines or plates, protecting its body, a characteristic previously thought to be ubiquitous among Cambrian organisms. More information on the new species has been published in the BMC Evolutionary Biology open-access journal. Learn more about the Burgess Shale and this exciting discovery in “Shale game” by Leslie Anthony, published in the upcoming January/February 2017 issue of Canadian Geographic.